Florida stone crabs are back! One of Florida's delicacies are available again until May 15th. The most famous seafood landmark in Miami is Joe's Stone Crab. They're open for their 99th season this year. You can dine casually or posh. They also have the most pillowy leather booths ever! 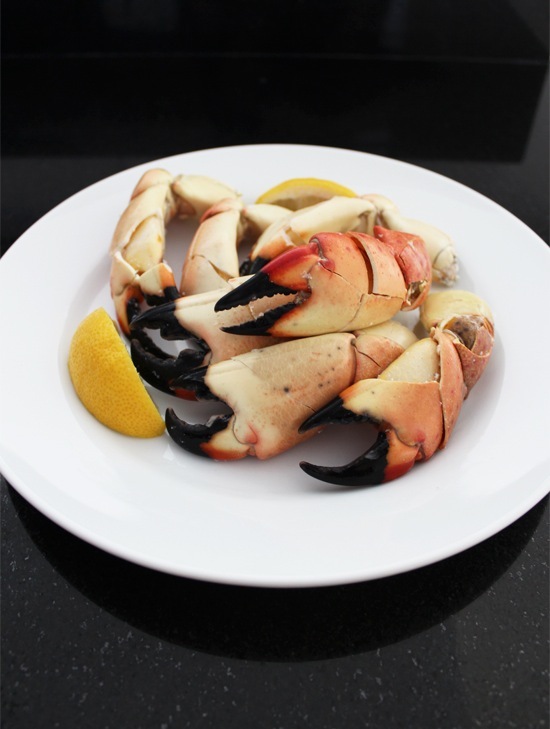 If you feel more like dining in, you can opt for George Stone Crabs for home delivery. Order them pre-cooked and cracked (like in the photo above) for convenience. The company harvests and prepares them fresh daily, never freezing them. They even offer overnight delivery on ice to Canada! Serve them simply with butter sauce and bubbly and you've got an exquisite feast from the ocean! Click here, to learn more about Florida stone crabs and fishery.